Published Bestsellers: A review of Neal James' 'Threads of Deceit' by Jane Thomas. A review of Neal James' 'Threads of Deceit' by Jane Thomas. "1st book I have read by Neal James and it won't be the last. Great story, a little slow at the beginning but this did allow you to get to know the characters. The story starts of in a very down to earth textile company with realistic characters that I am sure we have all worked with. 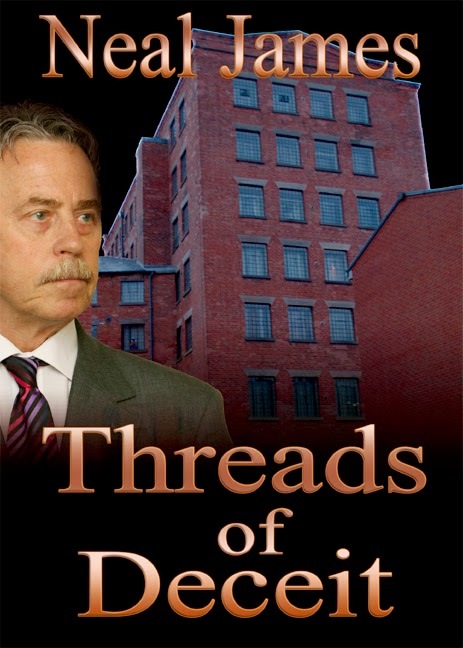 The plot develops into an intriguing mystery/suspense story with lots twists and developments that keeps you reading. A relatively short book that I couldn't put down and managed to complete in a day ( I am usually a slow reader). The twists build to an excellent ending that certainly didn't disappoint. I would highly recommend this, well worth a read."